Scrub and pierce sweet potatoes; place on a microwave-safe plate. Microwave, uncovered, on high for 15-18 minutes or until tender, turning once. When cool enough to handle, cut each potato in half lengthwise. Scoop out the pulp, leaving thin shells. In a large bowl, mash the pulp with caramel topping and butter. Spoon into potato shells. 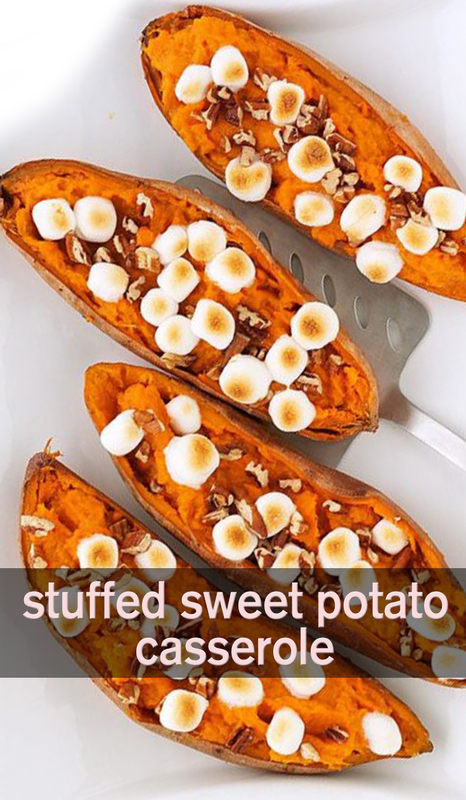 Place on baking sheets; sprinkle with marshmallows and pecans. Broil 3-4 in. from the heat for 2-3 minutes or until marshmallows are golden brown.